London, Lawrence & Bullen, 1896. 141-144. Guercino. 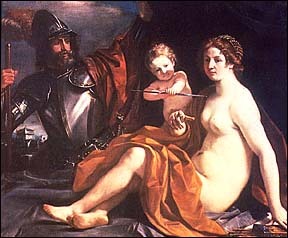 Venus, Mars and Cupid, 1633. From The Web Gallery of Art. Created by Anniina Jokinen on July 3, 2000.